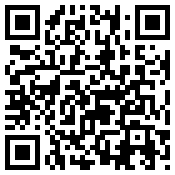 QR code to download Niner. English wordlist is vastly improved! Good news for people with hardware keyboards! Niner can now be configured to use Landscape or Automatic mode instead of Portrait only. We're currently beta testing the new improved version of Niner. Niner was released to market today! The word game Niner is about to be released any day now!